From new sponsorships and partnerships to new players and coach, SuperSport United has made the biggest impact in the PSL industry so far this off season. Cavin Johnson was the right catch for Matsatsantsa who pride themselves on youth development. Not only is he a master at blending youth and experience, and man-management of players, but he will allow a more free approach to the way the team plays, something the players will respond to well after a long time working under Gavin Hunt, who has quite a different approach to Johnson. Change can often be a good thing. Several new players will add quality to the squad; Bennett Chenene, Kurt Lentjies, David Mathebula, Mame Niang and Thuso Phala are all outstanding buys. In comes one of the country’s best goalkeeper coaches in Alex Heredia as well as Stewart Masela, who used to manage Absa’s sponsorship of the League, and is expected to add weight to an already efficient SSP office environment. sponsorship deal, expected to help the club reach new heights. The club recently announced a partnership with Stellenbosch University in an attempt to strengthen football in Stellenbosch and to nurture talent in the Western Cape. The link allows the University to extend their football footprint while SSP will have access to talented young players in the Western Cape region. The club have created a new logo and have joined forces with Kappa as a technical sponsor, showing that all round they mean business in 2013/14. It has been an eventful off season as far as the Tshwane club are concerned and as their nickname Matsatsantsa suggests, SuperSport have definitely set the trend for others to follow. Eyebrows were raised when SuperSport United beat Manchester City 2-0 in the Nelson Mandela Invitational at Loftus on the weekend, but while the result was positive it was the introduction of young Morne Nel that should be highlighted. New SuperSport coach Cavin Johnson has a history of nurturing young talent from his days at the School of Excellence working with a 12-year-old Steven Pienaar, to his role at Ajax Cape Town’s youth where several players he worked with have gone on to promising careers. Add Johnson to the SuperSport family, who by their own accounts have the best youth academy in the PSL, and throw in 17-year-old Nel and you could expect the teenager from Mitchells Plain to come through this season. 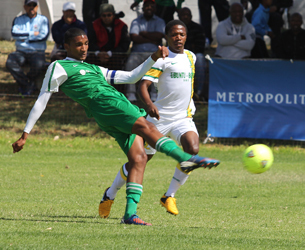 Nel joined the Tshwane-based Premiership club from Old Mutual academy in Pinelands, Cape Town and it was at the 2013 Bayhill Cup that he really grabbed people’s attention. Chairman of the Old Mutual academy, Barry Busch, explained: “Ajax Cape Town have long been interested (in Morne), but we already have a relationship with SuperSport. We know the people we are working with, having sent players there before,” he told the Cape Argus. SuperSport recently partnered Stellenbosch University in an attempt to grow football in and around the Stellenbosch region. One of the reasons for SuperSport going down this road is to try and find the next Morne Nel at the age 14 and not 17 years of age. SuperSport CEO Stan Matthews believes players are spotted way too late and need to get into a professional set up by the age of 12 or 13 and not as late as 17. “I hope our coach (Cavin Johnson) gives this young player (Morne Nel) a chance in the PSL this season as we believe he has huge potential,” Matthews said. And it did not take long as Nel got a run out on the friendly with Manchester City, which SuperSport won 2-0 with goals by Mame Niang and Kermit Erasmus. Nel, for his part, did not put a foot wrong when he was on the field. Nel is from Beacon Valley in Mitchells Plain. He played his junior football for Morgenster and joined Old Mutual when he was 12. He is a central midfielder, but with his natural talent he can play in a defensive or attacking role and even out on the wings. Today I watched Ajax Cape Town beat Bidvest Wits 3-1 in a friendly played behind closed doors at Cape Town Stadium. There was some neat and tidy soccer on display, but the game got tense as time went on. Ajax scored three in quick succession, which added to frustrations late in the game. While Wits gave run outs to several trialists like Takesure Chinyama, Rodwell Bezuidenhout and Eugene Asike, it was refreshing to see several players from Ajax’s under 19 side get a run. Bantu Mzawkali did well in central midfield, showing good awareness and an eye for goal as he scored the opener. I am told he can play in deep midfield or as a shadow striker and has been at the club since he was 14. Another junior player, Matthew Rowell, got a run at right back and had a tidy first half. After the break, Rivaldo Coetzee came in at centre back and did not look out of place. He has been with the club for several years. Michael Kwong, who has been around since Under 15, came on in right midfield in the second half and showed some confident touches and speed off the mark. Likewise, second half introduction Tasriq Morris has had several years at the club. Now playing as a striker, Morris has played centre back, full back and in midfield as a junior at Ajax. It is very encouraging to see the club giving so many of their junior players a chance with the first team. 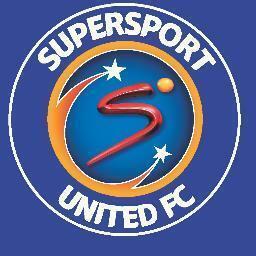 And to get a result against Wits, albeit a friendly, is a healthy sign for the future.